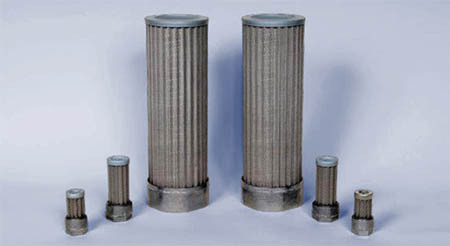 Chase Filters High Pressure Hydraulic & Pneumatic Filters: From spin-on filters to modular line type spin-on filters, tank filters, filter discs, mini in-line filters, In-Line filters and tee-type filters. 10 Series Spin-On Filters: Flows up to 25 GPM (return) 9 GPM (suction), 250 PSI max. operating, up to +250 degrees F. operating, petroleum based fluids only. 11 Series Spin-On Filters: Flows up to 70 GPM (return) 25 GPM (suction), 200 PSI max. operating, up to +250 degrees F. operating, petroleum based fluids only. 12 Series Spin-On Filters: Flows up to 70 GPM (return) 25 GPM (suction), 200 PSI max. operating, up to +250 degrees F. operating, petroleum based fluids only. 13 Series Modular Line Typoe Spin-On Filters: Two or more spin-on filter head modules bolted together to form a complete assembly. 14 Series Tank Filters: Suitable for use with petroleum base oils, fire resistant hydraulic fluids, coolants and lubricants. 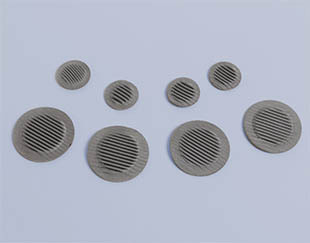 15 Series Filter Discs: Made from 316 stainless steel, ideal for areas where space is at a premium and a standard filter cannot be used. 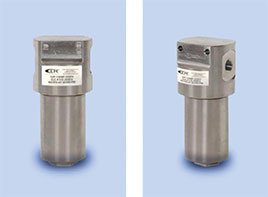 21 Series Mini In-Line Filters: Economical filters for test stands, meters, gauges, releif valves, pneumatic systems, hydraulic systems and much more. 22 Series In-Line Filters: Available in aluminum (5K), 304 stainless steel (6K) and 316 stainless (6K). Flows up to 2.5 GPM o 60 SCFM. 23 Series In-Line Filters: Available in aluminum (5K), 304 stainless steel (6K) and 316 stainless (6K). Flows up to 5 GPM o 150 SCFM. 31 Series In-Line Filters: Up to 6,000 PSI, available in 303, 316, and 17-4PH. Various micro rating available. Stainless steel housing. 41 SeriesMini Tee-Type Filters: Up to 10,000 PSI operating, 316 and 17-4PH, various micro rating available, stainless steel housing. 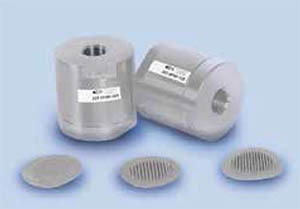 51 Series Tee-Type Filters: Available in 5,000 and 6,000 PSI, 303, 316 and 17-4PH stainless steel and aluminum, various micro rating available, DP indicators and bowl drain options available. 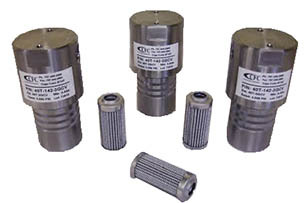 52 Series Tee-Type Filters: Available in 303, 316 stainless (10K) and 17-4PH stainless (20K), flows up to 24 GPM or 1,200 SCFM. 56 Series Tee-Type Filters: 60,000 PSI rated operating pressure, no elastomeric seals, flows up to 2.5 GPM, 17-4PH stainless steel construction. 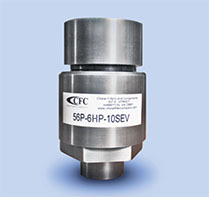 SCI Sharp Controls offers you over 102,000 interchange elements for all your hydraulic filtration requirements.